Using Blend Modes to Remove a White Or Black Background. Blend modes are great for adding Overlays to a composite. If you have a layer with a white background use multiply mode: black will be opaque and white will be transparent. If you have a layer with a black background use screen mode: white will be opaque and black will be transparent. 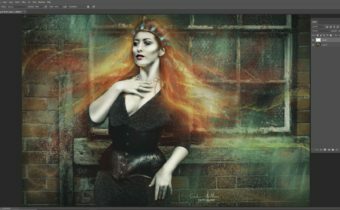 In this tutorial Andrei shows the basics of Photoshop blend modes. He covers how the modes are organized and how they interact with light and dark pixels. The tutorial also covers ways to quickly select the mode you want with a variety of keyboard combinations. Thanks for the short cuts, I always forget the method to go from one blend mode to the next one on the list. Andrei, thanks for this clear and informative tutorial.